As we and our loved ones get older, it becomes more challenging to maintain balance while performing everyday tasks, and the risk of falling tends to increase. But many falls can be prevented with small, yet effective actions. 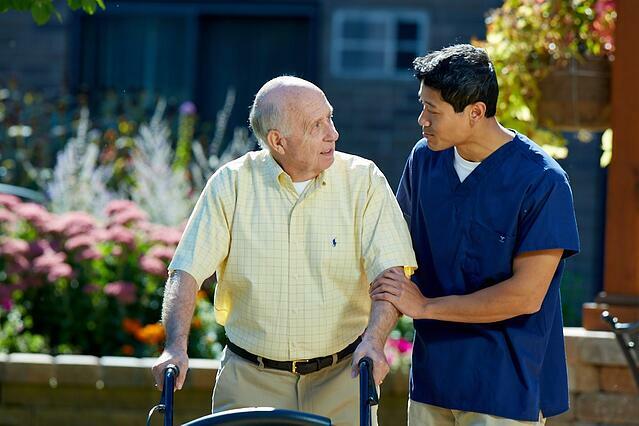 Here are several ways to support your loved one's safety by reducing the risk of falls. It’s no surprise that good eyesight helps prevent falls. Make sure your loved one has an annual eye exam and updates eyewear if needed. Hearing also plays an important part in balance, so it's best to have that tested, too. Their doctor can easily deal with small problems before they become a risk factor for a fall. Make a list of all the medications your loved one is taking including over-the-counter medications and supplements. Review the list with their doctor. Together, you can determine if there are any interactions that could affect their balance, if there are any medications they can reduce or replace, or if they can add a medication that would be beneficial. If your loved one fell before, it's important for their doctor to know — even if they weren’t injured. Before the appointment, help your loved one jot down all the details they can recall about their past fall(s). Include where they fell, the time of day, what they were doing, if they took medication shortly before the fall, their mood at the time, and anything else that comes to mind. Mention any "near falls" they've experienced, when they were able to catch themselves or were caught by someone else. This will help the doctor determine if they need further testing or if he can recommend exercises or medication to help. Even something as simple as a mild cold can affect balance, and consequently, the risk of falling. So, it’s important to review your loved one's general health and physical activities. 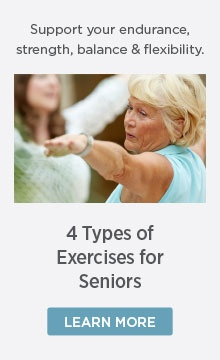 Be sure to mention any dizziness, joint pain, numbness, or shortness of breath while active. The doctor can also do some simple tests to assess your loved one's overall strength and balance. If these need improvement, a physical therapist or fitness program such as FIT Functional Fitness® can help. Staying active is a great way to help prevent falls or other injuries. Remember, being active doesn’t mean running a marathon! It can be as simple as walking 10 minutes a day. With a doctor’s approval, other options for exercise include a favorite sport such as golf, tennis, swimming, bicycling, yoga or tai chi, and resistance training. Besides preventing falls, being physically active helps maintain fitness and strength to keep doing the things your loved one enjoys. Plus, moderate exercise can improve cardiovascular health, bone density, immune function, and contribute to a longer life. Many falls occur in the home. So, take a look at your loved one's home and rearrange or remove potential hazards such as coffee tables, plant stands, magazine racks, or other small furniture. Have a dedicated place to keep magazines, newspapers, and mail, so they don’t end up on the floor. Be sure phone, computer, or other electrical cords are safely tucked away from walking paths. Floors. Make sure all floors are clear, all carpeting is securely tacked down, and all rugs have slip-free backings. Replace any worn rugs that are curled at the edges. Be sure all bathrooms have non-slip rugs, bath and shower mats. The kitchen should also have non-slip mats or rugs to avoid slipping on water or spilled food. Stairs and walkways. Ensure that all stairways have solid handrails. You might even want to use bright colored tape to identify the edge of each step. Lighting. Be sure to have good lighting throughout the home. Add or upgrade lighting as needed, especially in hallways, bedrooms, and bathrooms. Place flashlights within reach of beds and in other areas of the home in case of power outages. Use wireless, stick-on lights in hard-to-light areas such as closets, under sinks, or along stairwells. It's simple to ensure your loved one's home is well lit, that all rugs are non-slip, and there are handrails where needed to prevent falls. But there are several risks you might not think about. Pets. Pets may be a great companion for your loved one, but he could also be a tripping hazard. It's important that your loved one be careful when navigating their house with an excited animal. This is especially true during their pet's breakfast and dinner times. Location of frequently used items. Anything your loved one uses on a regular basis should be stored in an easily accessible location. Bending over can cause aging adults to lose balance and feel dizzy. Avoid placing frequently used items in low drawers or cabinets. Changing positions. The simple act of changing positions too quickly can cause a sudden change in blood pressure, which may result in your loved one losing consciousness and falling. To avoid such situations, remind your loved one to sit and stand slowly. Now that you're aware of the risks and know some ways to prevent your loved one from falling, create a checklist and walk through their home to identify and fix problem areas. Then, you can rest assured your loved one is living in a safe environment that supports an active, healthy lifestyle.